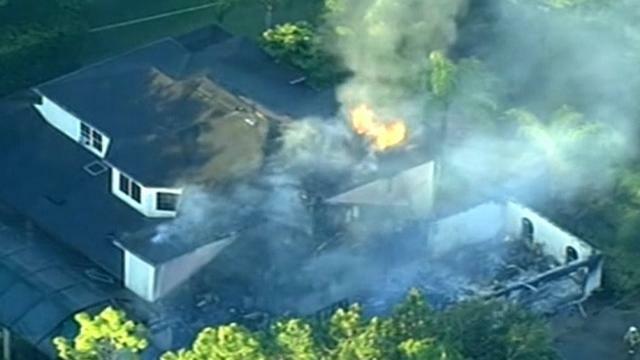 Four people have been found dead in the burned home of former tennis star James Blake in Florida. The unidentified victims were found by fire fighters early on Wednesday after responding to reports of a blaze. James Blake, 34, was not at the $1.5 million home, which was being rented out at the time of the incident. He was one of the top-ranked tennis players in the world in 2006, retiring from competition in 2013 after a 14-year career. Emergency crews battled the fire throughout the morning on Wednesday before later extinguishing it. Two bodies were located earlier in the day, a third later in the morning and a fourth body in the afternoon, according to local media. Safety concerns regarding the structural integrity of the home have hampered a more detailed search as of yet. Hillsborough County sheriff’s Corporal Donna Lusczynski told the Tampa Tribune it may be days before the home is safe enough to enter and for medical examiners to identify the victims found inside.